Kick off your visit on the 12th (Mon): admire the striking features of Sultan Abdul Samad Building, then look for all kinds of wild species at KL Bird Park, then Head underground at Batu Caves, and finally take in panoramic vistas at Menara Kuala Lumpur. To see other places to visit, reviews, where to stay, and more tourist information, refer to the Kuala Lumpur trip planner . Mumbai, India to Kuala Lumpur is an approximately 8.5-hour flight. You can also do a combination of train and flight; or drive. The time zone difference when traveling from Mumbai to Kuala Lumpur is 2 hours. When traveling from Mumbai in November, plan for slightly colder days in Kuala Lumpur, with highs around 37°C, while nights are a bit warmer with lows around 28°C. Finish your sightseeing early on the 12th (Mon) to allow enough time to drive to Melaka. 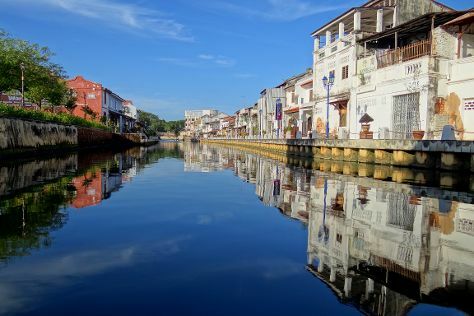 Known as the "Historical City," Melaka boasts an eclectic blend of colonial, Peranakan Chinese, and traditional Malay architecture. On the 13th (Tue), meet the residents at Melaka Butterfly and Reptile Sanctuary, explore the activities along Malacca River, and then take an in-depth tour of Malacca Heritage Centre. 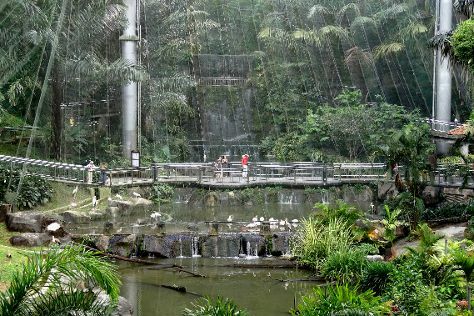 Here are some ideas for day two: take in the spiritual surroundings of St. Peter's Church, then examine the collection at Cheng Ho Cultural Museum, then view the masterpieces at The Orangutan House, and finally make a trip to The Huskitory. To see traveler tips, more things to do, maps, and other tourist information, read our Melaka road trip site . You can drive from Kuala Lumpur to Melaka in 1.5 hours. Alternatively, you can take a train; or do a combination of train and bus. In November, plan for daily highs up to 37°C, and evening lows to 28°C. Cap off your sightseeing on the 14th (Wed) early enough to travel to George Town. A kind of architectural playground, George Town is city offering an attractive mix of style, history, and culture. Start off your visit on the 15th (Thu): let the kids burn off some steam at Adventure Zone, take in the spiritual surroundings of Reclining Buddha Wat Chaiyamangalaram, and then see the interesting displays at The Camera Museum. Inspirock's itinerary builder makes planning a George Town trip simple and quick. Getting from Melaka to George Town by flight takes about 2 hours. Other options: do a combination of bus and flight; or drive. Due to the time zone difference, you'll gain 1 hour traveling from Melaka to George Town. In November, plan for daily highs up to 36°C, and evening lows to 28°C. Finish up your sightseeing early on the 15th (Thu) so you can travel to Langkawi. An archipelago of 104 islands, Langkawi is tailor-made for adventurous holidays, filled with exploration and relaxation. Kick off your visit on the 16th (Fri): see the interesting displays at Galeria Perdana and then stroll through Pasir Tengkorak Beach. Here are some ideas for day two: tour the pleasant surroundings at Cenang Beach, then examine the collection at Laman Padi Langkawi, and then contemplate in the serene atmosphere at Wat Wanararm. To find maps, traveler tips, more things to do, and more tourist information, go to the Langkawi trip itinerary planner. Traveling by combination of taxi and flight from George Town to Langkawi takes 1.5 hours. Alternatively, you can ride a ferry. The time zone changes from West Indonesia Time (WIB) to Malaysia Time (MYT), which is usually a 1 hour difference. In November in Langkawi, expect temperatures between 36°C during the day and 29°C at night. Finish up your sightseeing early on the 17th (Sat) so you can travel back home.